TAG Heuer has teamed up with Bucherer, the heritage watch and jewellery house based in Lucerne, to expands its cult collection of special editions watches. 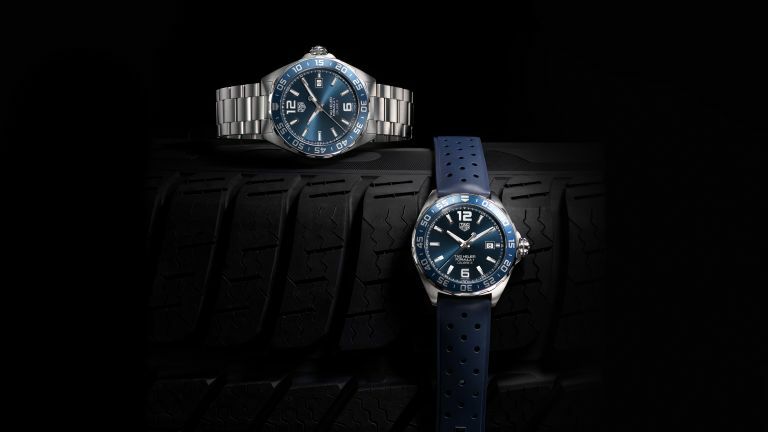 The TAG Heuer Formula 1 Bucherer Blue Edition is the latest addition to collection, and aimed at the "fashion conscious gentleman who has motorsport in his blood". We think its an stunning timepiece, and it's probably not as expensive as you think. What really makes this watch stand out is the radiant blue dial with hand-applied indexes and blue bezel with a 60-minute scale. Some of the TAG Heuer Formula 1 models are quite bright and loud, but this special edition is a really elegant, understated combination. The watch case is made stainless steel and measures 43mm in diameter. The automatic movement has a power reserve of 38 hours. As well as a stainless-steel bracelet the special edition Formula 1 comes with a blue rubber strap, adding to its motorsport kudos. TAG Heuer Formula 1 Bucherer Blue Edition is priced at £1,650 and is exclusively available on Bucherer's website.